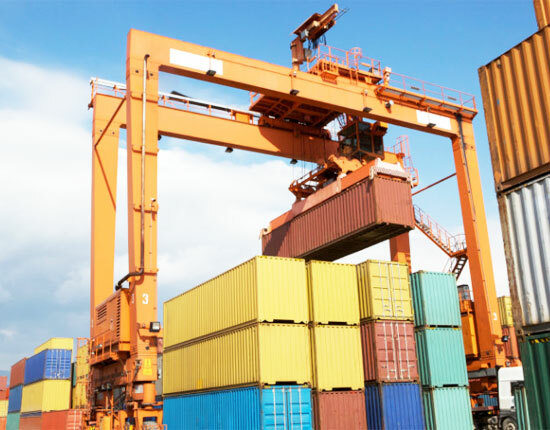 Quay gantry crane is designed to handle a variety of cargo and container at dockside and port. The quayside gantry crane can effectively enhance the productive efficiency of port trade so as to create maximum profits. The gantry lifting equipment generally adopts two types of girder construction, single girder and double girder. With respect to different crane running mechanisms, this dockside gantry crane can be divided into rail mounted and rubber tyred type. 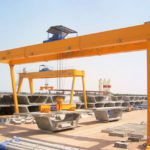 We provide an array of quay gantry cranes to suit varied needs of customers, and we can help you design the most suitable type according to your specific requirements. 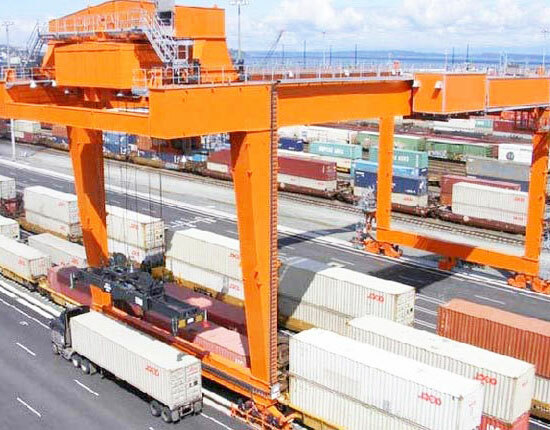 Rail mounted quay gantry crane is an excellent option for loading, unloading and transferring large containers from container ships as well as handling the stack of containers. As the name suggests, it runs by means of rails. This quayside crane has effectively accelerated the operations of dock and minimized the time. 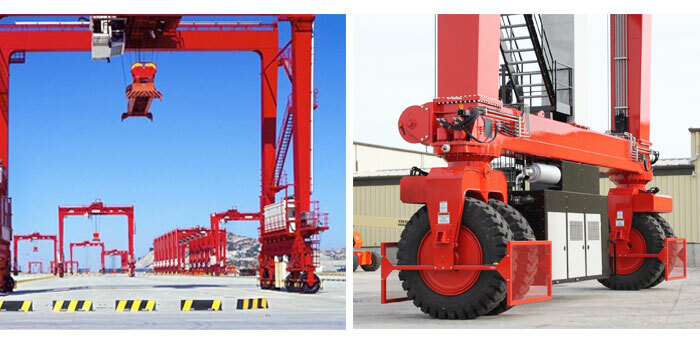 Rubber tyred gantry crane allows for a flexible movement at container terminals by way of running on rubber tires. It can travel stably and smoothly to lift and move containers, making it highly demanded in port and dock. The rubber tired quay cranes produced by our company can adapt to different conditions of quays and docks. Besides, it can be custom designed to meet the individual needs of clients. The single girder gantry crane is a perfect choice for handling light duty cargoes at the quayside. 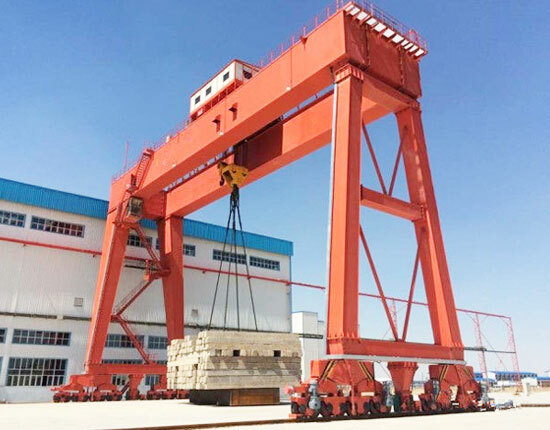 As a typical gantry crane, it can be widely applied in other workplaces, such as construction site, railroad terminal, freight yard, mechanical shop and shipyard. When heavy items are frequently lifted and moved at dockside, the double girder gantry crane will be a better option. According to your practical needs, the metal structure of double girder crane can be designed and built into A frame and U frame. 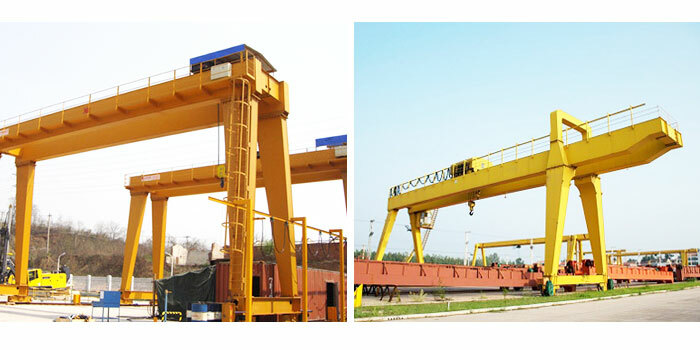 Compared with single beam gantry crane, it can realize a greater lifting speed and work duty. 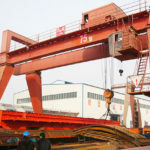 In addition, there are some other types of gantry cranes available for you to choose from, such as cantilever gantry crane, truss gantry crane, heavy duty gantry crane, and mobile gantry crane. To know more, click the contact button and tell us your specific requirements. By adopting the latest technology and industrial design concept, such as anti-swaying system, our industrial gantry crane equipment is of excellent performance. The cabin room has delicate appearance and reasonable layout, and it also provides unobscured view. The stable movement can greatly reduce the momentary impact of start, acceleration and deceleration, which can effectively improve the work life of the crane and increase the reliability at the same time. Sound safety system and reliable safety protection components provide a comprehensive protection in the lifting operations so as to minimize the accidents or other losses. The advanced manufacturing process and strict testing system are adopted to ensure the equipment is of superior quality. 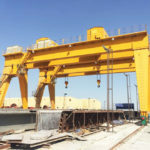 How to Choose Quay Gantry Crane for Your Needs? 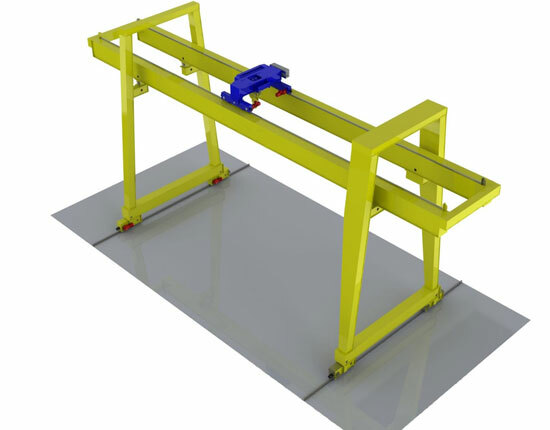 A right gantry lifting system can significantly improve efficiency and safety of your operations. 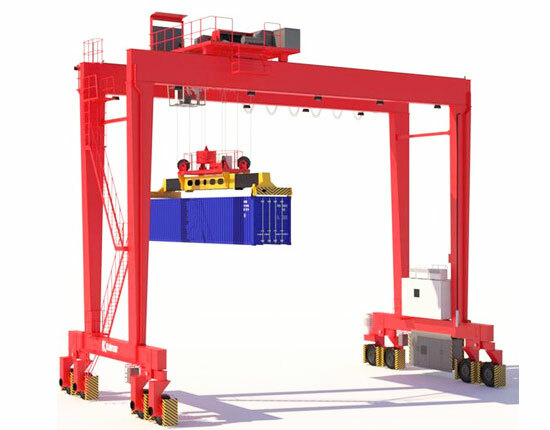 Therefore, it is necessary for you to make a thorough consideration in the quay gantry crane selection process. Based on the load weight, working environment, ease of use, lifting frequency and so on, you can decide the best gantry crane configuration. For example, the single girder gantry crane is suitable for light duty lifting application, such as 10 ton, 20 ton and 25 ton, while double girder crane can handle heavier loads more than 50 ton. Truss gantry crane has excellent wind resistance. The cantilever design is determined according to your practical lifting operations. In addition, for quay container gantry crane, a special lifting device called spreader is equipped to handle a range of containers. With regard to ease of use and safety consideration, each type has its own pros and cons. The box type gantry crane has solid structure, excellent safety, and strong rigidity, but at the same time, it costs much and has poor wind resistance. 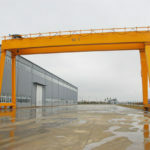 Whereas truss gantry crane has rather low cost and can effectively prevent the attack of strong winds. However, it has the disadvantages of relatively low reliability and rigidity. If you have trouble determining the right gantry crane type, consult our customer service online, and we will help select the most cost-efficient solution for your needs. 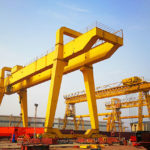 A great number of gantry crane accidents result from human errors, so a proper operation will not only reduce machine downtime, but ensure the safety of operators. Here are some tips on the safe use of gantry crane equipment. The crane operator should check some critical parts each shift, such as brake, hook, wire rope and safety devices to make sure they are in excellent working conditions. 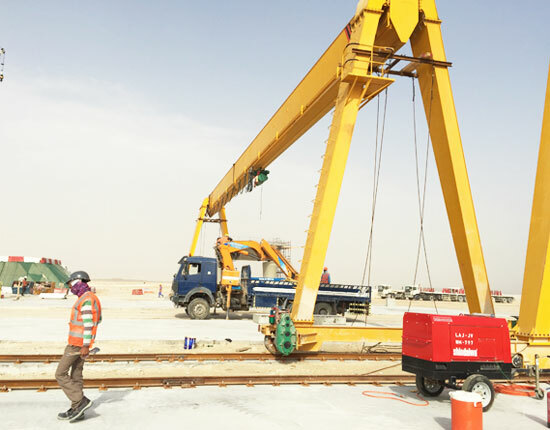 The crane operator should strictly follow operation rules and regulations and avoid the misuse of the crane. When operating the electric gantry crane, the operator should check the environmental condition to make sure there are no obstacles or any hazard affecting the operation of the equipment. A periodical inspection and maintenance should be done in order to increase the service life of the crane as well as ensure a safe use. Other safety considerations include but are not limited to: do not overload; do not stand under a load; do not use the wire rope as a sling, and do not make a rapid lifting movement. 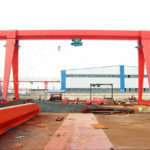 With years of designing and manufacturing experience, we are one of reputable quay gantry crane manufacturers and supplier in China. 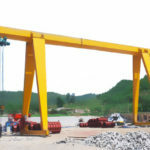 In addition to gantry crane, we supply other types of lifting equipment, such as overhead bridge crane, jib crane, hoists, construction winch and marine winch, and our products have been exported to many countries and regions. By virtue of exceptional advantages, we become leading in the material handling industry. Research and Development. We have focused on the crane R&D for many years and established a R&D center. We are committed to optimizing the crane in design and structure so as to bring about optimum performance. Manufacturing. We adopt advanced manufacturing process and quality components to make sure each product is with first-class quality. Service. We offer a full service to clients ranging from design, manufacturing, delivery to installation and maintenance. In strict accordance with service principle of customers first, we will satisfy the needs of clients to the utmost. 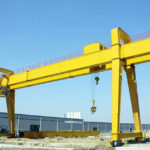 If you are looking for a quay gantry crane, Ellsen gantry crane can be an excellent choice. Contact us now to get a favorable price!